Check out the full details of the event and register here! ​of people and machines on your shop floor. Experience live, real-world demonstrations on 17 of Mazak's latest machines and see how they work with more than 10 different robots completing different manufacturing tasks. 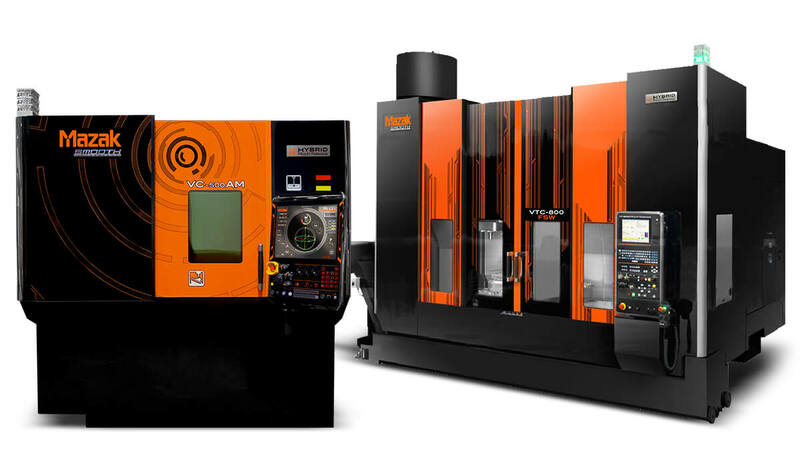 You'll see the latest in advanced Multi-Tasking, 5-Axis, milling and turning operations. Check out the full list of machines here! At our IoT Terrace, we'll cover how physical devices ranging from smartphones and tools to vehicles and buildings will be networked together to collect and exchange data. You'll see Mazak SMOOTH Link, Mazak Smartbox and other elements of our SMOOTH TECHNOLOGY platform in action. Our experts and Value Inspired Partners will also be on hand to offer their expertise through our TEK talks. ​At Vendor Row, you'll have the opportunity to meet with top tooling and fixturing vendors to find solutions to your daily manufacturing challenges. And be sure to arrive early for our Discover Golf Tournament and stay late for our Discover Sporting Clay Tournament for a chance to network with your fellow industry professionals.